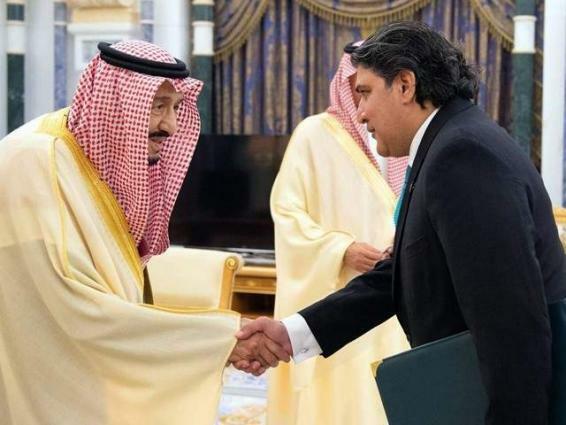 Pakistan Ambassador to Saudi Arabia Raja Ali Ejaz has said that Saudi Crown Prince's announcement for releasing Pakistanis in jails is under process. ISLAMABAD, (UrduPoint / Pakistan Point News - 17th Apr, 2019 ) :Pakistan Ambassador to Saudi Arabia Raja Ali Ejaz has said that Saudi Crown Prince's announcement for releasing Pakistanis in jails is under process. He said,"We expect some good news regarding this in the holy month of Ramadan," a press statement received here said. He said during the visit a number of agreements and memorandums of understanding were signed, one of which was on the transfer of prisoners. The agreement is in process and once the agreement is signed, the prisoners will able to complete the sentences in their respective countries, he added. Ambassador said Pakistanis in Saudi Arabia are playing a major role in the its development. Raja Ali Ejaz described Saudi Crown Prince Mohammad bin Salman's visit to Pakistan a major success, and said it explored a new era in the relations of two brotherly countries. He said his doors are open to all Pakistani brothers, sisters and elders and he will be happy to resolve their problems adding he will keep on visiting Jeddah regularly to remain in touch with the community. He was addressing a welcome dinner in his honour held at a local hotel in Jeddah. The dinner was organized by former parliamentarian and former Federal minister Shahbaz Hussein Chaudhary. Earlier, he welcomed ambassador to Jeddah, and assured him the cooperation of the Pakistani community.